March 8 is International Women’s Day, and there is so much to celebrate when it comes to women’s accomplishments in STEM fields! We’ve taken a look at just a few of the amazing women in STEM whom we’ve featured on the Tynker blog. Make sure the women and girls in your life know that they can achieve anything – not only today, but every day! 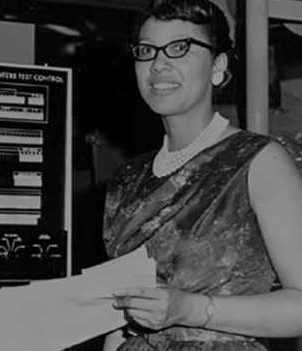 Throughout her life, Dorothy Vaughan (whose name you may recognize if you’ve watched or read Hidden Figures) was a gifted and hard-working mathematician. 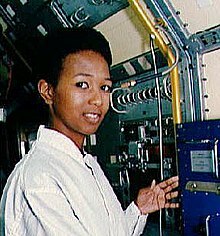 Among her accomplishments are a mathematics research position at Howard University, a degree in education, a job at the Bernis Laboratory in the Hampton Institute, and, of course, her work with NASA. On her application to the laboratory job in 1943, she famously indicated on her application that she’d be ready to work “within 48 hours,” and she got the position! Dorothy’s rise in the field of engineering is particularly impressive considering the widespread racial discrimination present in the United States at the time, as well as the male-dominated nature of her workplace. We now know that gender-neutral toys empower kids and support cognitive development – but it wasn’t always the case that toys were marketed to all kids. Inventor, educator, and software developer Janese Swanson was always interested in how kids learn. After her experiences working in the software industry and shopping for toys for her daughter, she noticed that nearly all technological toys were being marketed to boys. This marketing was leaving girls behind, and Janese realized that in order to close the gap in STEM, tech toys needed to be marketed in a way that would not exclude girls. Janese’s work as an inventor laid the groundwork for kids’ toys today! When we think of math, most of us don’t immediately draw a connection to painting. 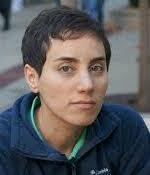 But to mathematician Maryam Mirzakhani’s daughter, that’s just how her mother’s work looked – like “painting.” The first woman and the first Iranian to win the prestigious Fields Medal, Maryam had just turned 40 when she died in 2017. Her contributions to the field of math “open[ed] new frontiers of research that are just starting to be explored,” according to her thesis advisor Curtis McMullen, and she set the course for women across the world to rise in the field of mathematics! When coding, you probably don’t think about the code behind the action – but that’s exactly what Frances “Fran” Allen spent her life doing. The first female IBM fellow and first woman to win the Turing Award, Fran has been in the computing space since it took off in the ‘50s! 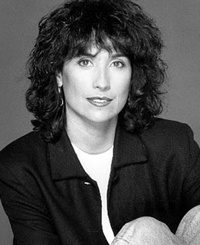 During her illustrious career, she worked on a top-secret NSA computer, helped secure IBM’s future as a leader in mainframes through her research and work on compilers, and made massive contributions to research and development for multiproc. 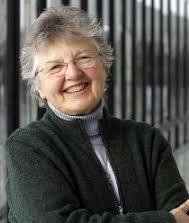 If you’ve ever programmed a computer (or used one for that matter), you’ve likely been impacted by Fran’s work! It takes a brilliant mind to pioneer an algorithm crucial to the functionality of the internet – and lots of determination to put in hours many years later to replace it! 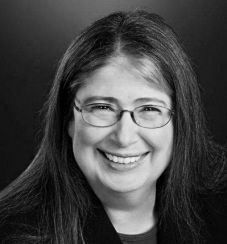 Software designer and network engineer Radia Perlman did just that and much more; she created a field of computing as an undergraduate and has had a massive influence on the way network security is taught. With three MIT degrees and over a hundred patents to her name, Radia has found ways to pioneer new solutions with her incredible creativity, extensive knowledge, and problem-solving skills in every branch of computing she’s tackled. Just don’t call her “the Mother of the Internet”! 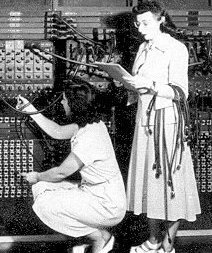 When historians first found photos of the women who coded instructions for ENIAC, the first all-electronic digital computer, they mistook them for “Refrigerator Ladies” – models posing in front of the machines. Francis “Betty” Snyder Holberton, Betty “Jean” Jennings Bartik, Kathleen McNulty Mauchly Antonelli, Marlyn Wescoff Meltzer, Ruth Lichterman Teitelbaum, and Frances Bilas Spence had some of the greatest (and largely overlooked) contributions to early computing in America. The group of women manually programmed the computer for the US Military, cutting down ballistic firing calculation times down from 30 hours to just a few seconds. Although their hard work was not acknowledged until long after the programmers had completed their work on ENIAC, their impact on the field is undeniable! Imagine a life without modern medicine, a road trip without the voice of a GPS, or a day without using a cellphone. Such would be the world we’d live in without space exploration and without the work of Dr. Mae Jemison. Inspired in part by Star Trek’s Lt. Uhura, Mae, on her 1992 trip on the NASA space shuttle Endeavour, became the first African-American woman to travel in space. In fact, we were so inspired by Mae’s story that we even have a character named after Mae in Space Cadet and Space Quest! Mae’s passion for science developed during her childhood and persists still, driving her to push the limits of possibility throughout her notable career. Do you have a girl in your life who wants to learn to code? Marcos Navas Makes with Code!